Unbiased Markets.Com Review | Find out what this broker can offer! 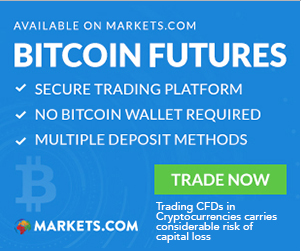 Markets.com which is a brand and trademark used by Safecap Investments Ltd is one of the leading Forex brokers in the world, providing its clients access to online currency and CFD trading. You may have noticed their brand during Arsenal FC games, and that is because they are an official partner with the football club. One of our top picks! CFD Service. Risk of Loss. Safecap was eventually licensed by the Cyprus Securities and Exchange Commission in 2008 under the license number 092/08. At the time, Safecap provided online Forex and CFD trading services under the CFG Markets brand, and it quickly began to grow. The growth of the company was so great, that CFG Markets was awarded the Fastest Growing Broker award in 2010. To fully establish themselves in the industry, they rebranded from CFG Markets to Markets.com. This was a marketing strategy, similar to the one used by Gain Capital by branding themselves Forex.com. It may seem like a complicated structure, but it is not completely unusual in the industry. In 2015, Trade FX, which owns Safecap was sold to Playtech, but the Markets.com brand is still in use, and the broker continues to be a force in the industry. Markets.com was primarily involved in offering online Forex and CFD trading, which are still the company’s main products. There are more than 50 currency pairs available for trading, and these cover most pairs from the major ones to the exotic pairs. Compared to other leading brokers, Markets.com remains very competitive in the number of currency pairs. Furthermore, these are all available for trading with the leverage of up to 50:1. Besides Forex, CFDs are also available for currencies, bonds, shares, commodities, indices and ETFs. With CFDs, clients can have access to all of these products even with a small capital that would otherwise be a hindrance. With CFDs, leverage can go as high as 50:1. For those interested in trading commodities, indices and ETFs directly, Markets.com allows you to do this too, although it may require a bit more capital than if one used CFDs. Nevertheless, leverage is still available of up to 300:1. Recently, Markets.com introduced virtual currencies into their products, allowing their clients access to Bitcoin. These products can be traded 24/7, which can keep a trader busy over the weekend. With all these products available, you’re going to need to make deposits, and Markets.com has various avenues for that. Bank wires and credit cards are accepted, for direct deposits, but they also accept deposits from payment service providers like Neteller, Skrill and even PayPal. Being a big company with presence in multiple countries, their customer support team is able to respond in a variety of languages, 24 hours a day for 5 days a week. Once you’re in, you also notice just how much variety there is in terms of trading instruments. From the FX pairs to the CFDs, ETFs and indices, these are way more trading instruments than you will find among other brokers. However, and perhaps most important, Markets.com has an excellent reputation. Ever since 2010, the company has grown to become very popular around the world, and has been honoured with many awards. In fact, the only downside may be that they don’t accept clients residing in the US, but otherwise, everything else is perfect. Trading Forex and CFDs products online is a high risk. Please be aware that your losses may extend your deposits. Markets.com Review	Overall rating:	5	out of 5 based on 1	reviews.